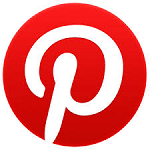 Welcome to my blog, this week's Heart2Heart Challenges theme is "Everyday Life". 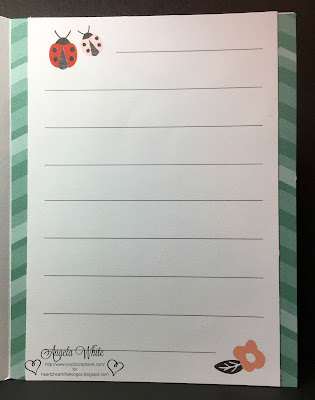 I created a single page layout using the Live Beautifully Paper Pack and Stamp Set featured by Close To My Heart in celebration of National Scrapbook Month. 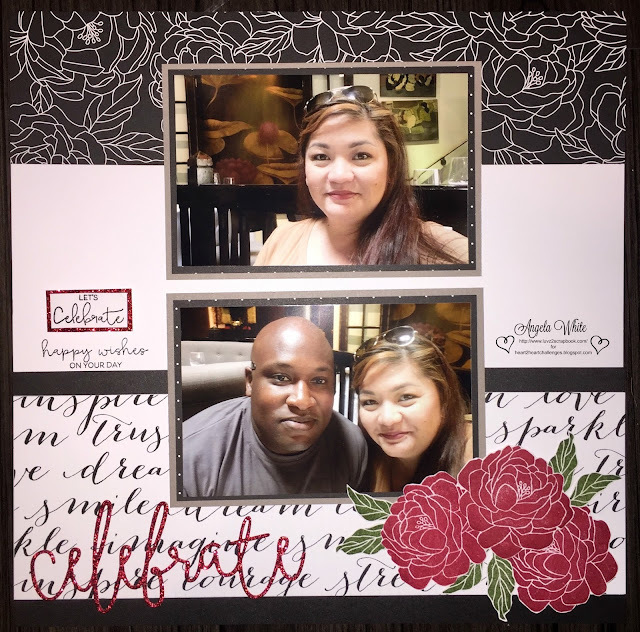 I love all the papers in the paper pack and thought it would be a great feature for my birthday photos. These photos were taken on my 40th birthday, my husband surprised me with a weekend getaway and took me to my favorite restaurant called Crustacean's. Welcome to my blog, this week's Heart2Heart Challenges theme is "Teeny Tiny". The card I created is a Congratulations on your New Little One Card featuring the Adventure Fundamentals Paper and the Happy to be You stamp set. I also used the twine from the Adventure Ribbon Pack. When I think about "Teeny Tiny" I see babies, so I decided to create this cheerful bright card. Welcome to my blog, this week's Heart2Heart Challenges theme is "What a Wonderful World". I thought that the Some Kinda Wonderful Paper Packet from Close To My Heart is perfect for this challenge. 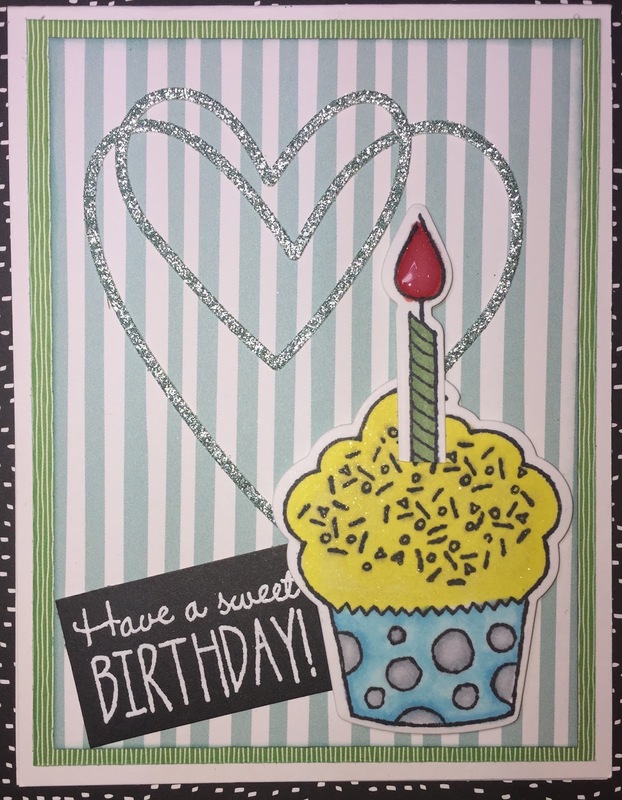 I created this fun birthday card using not only the Some Kinda Wonderful Paper Packet but also the Sweet Birthday Stamp and Thin Cuts along with the Hearts thin cuts. I use some Copic alcohol markers to color the cupcake. 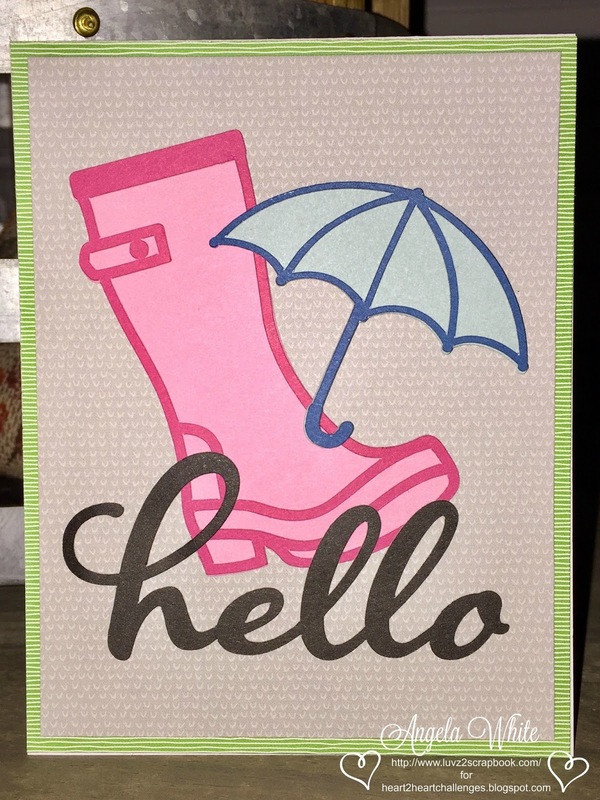 Welcome to my blog, this week's Heart2Heart Challenges theme is "April Showers". 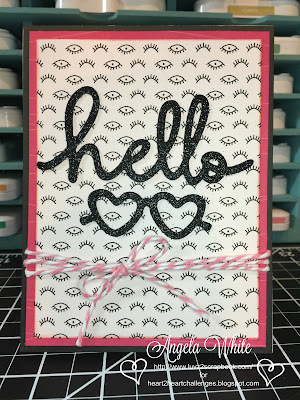 I created this simple but fun Hello card using the Close To My Heart Cricut Flower Market Cartridge and the Some Kinda Wonderful Paper Packet. There's no stamping on this card, just Cricut cuts, simple and fun! Welcome to my blog, this week is Technique Time at Heart2Heart Challenges. The technique featured is "Stamped Backgrounds". There are many ways to create beautiful backgrounds using stamps. I used the "All the Thanks" stamp set to create this simple thank you card along with Close To My Heart's Watercolor Paints and Watercolor Paper. Welcome to my blog, this week's Heart2Heart Challenges theme is "Time to Dream". 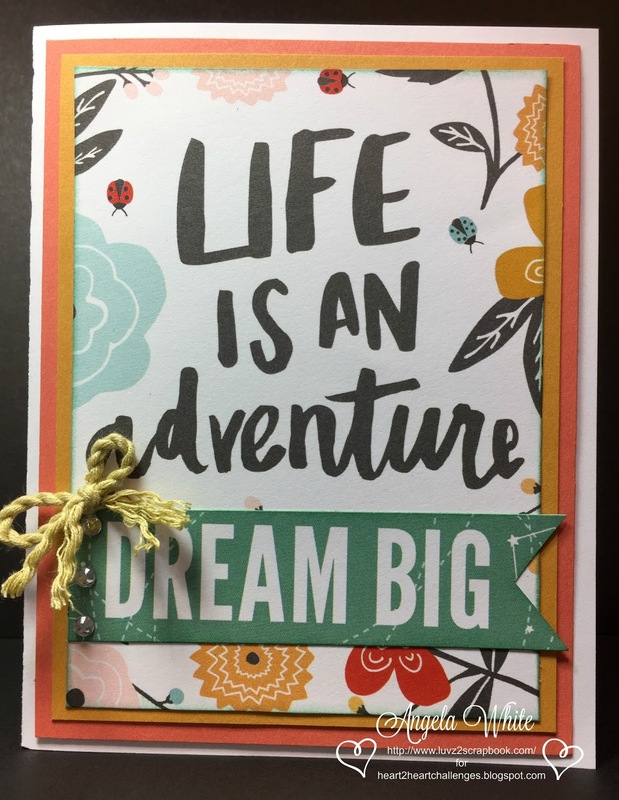 Graduation for many is right around the corner so I created a note card perfect for a graduate using a couple of PML papers from the Dreamin' Big Paper Packet and complementing card stock, thick twine and sparkles. 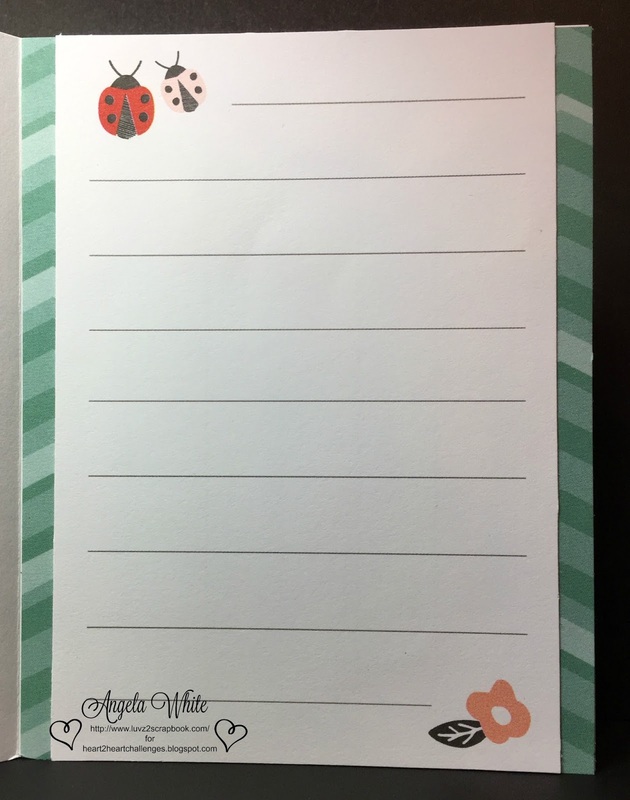 The inside of the card is also decorated with a PML (Picture My Life) lined paper to give the note card clean lines to write on. 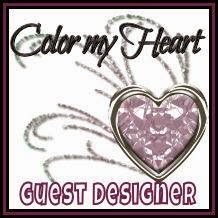 Welcome to my blog, this week's Heart2Heart Challenges theme is all about Complements. Each Close to my Heart Paper Packet features a matching complement set. Complements come with a variety of stickers, die cuts, gold foil accents and many more. 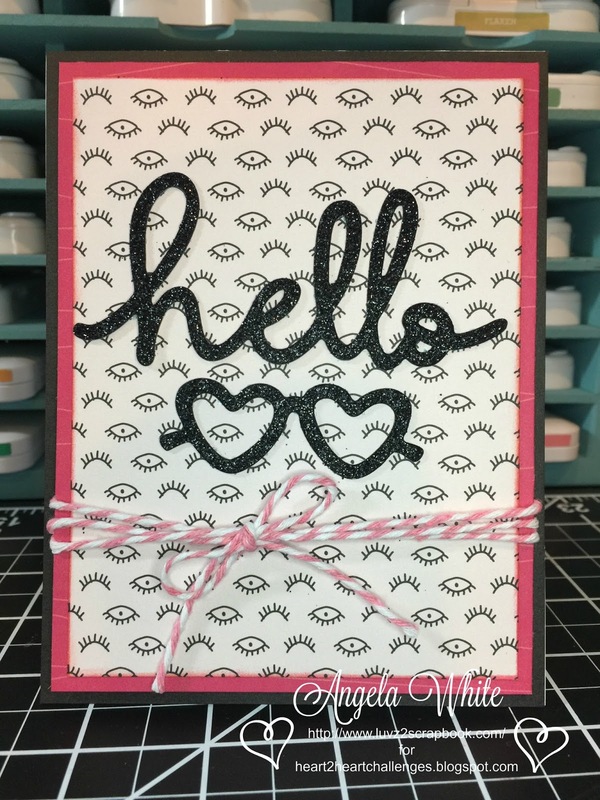 I created a "hello" card using the Some Kinda Wonderful Paper Packet and Complements along with the pink and white twin from the Adventure Ribbon Pack.